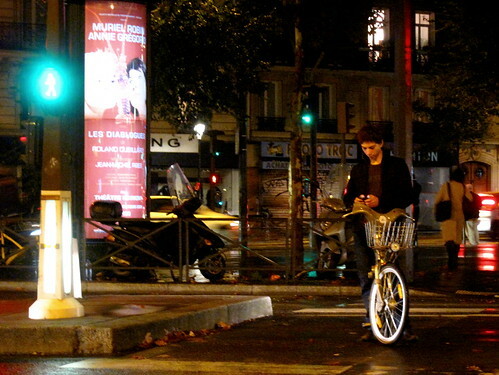 Nighttime in Paris also involves bicycles these days. They're everywhere. Taking time out to text. No rush. An armada of Vélib bicycles. 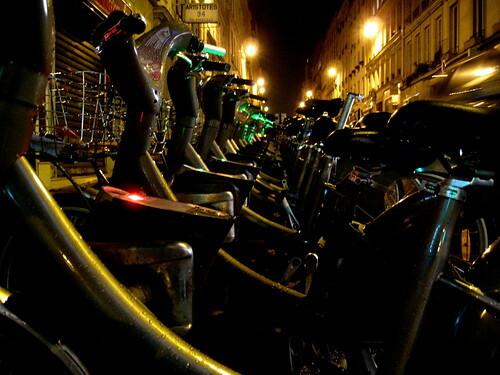 bikes, paris at night. what could be better. 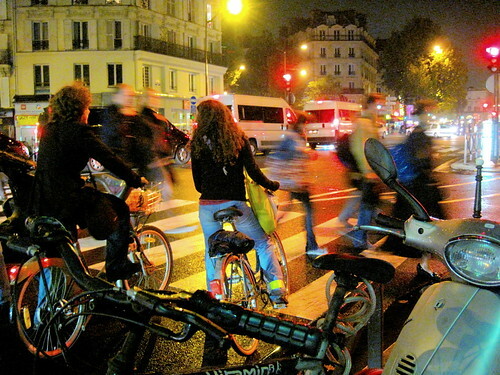 can't wait to get back to paris, last time i was there, Velib was not.